Today’s drink is a vibrant blue color, and everyone knows that if it’s blue it MUST be raspberry flavored. I’ve ranted about my hatred of blue raspberry before so for the sake of Old 52, who supplied us with this soda, I’ll refrain. 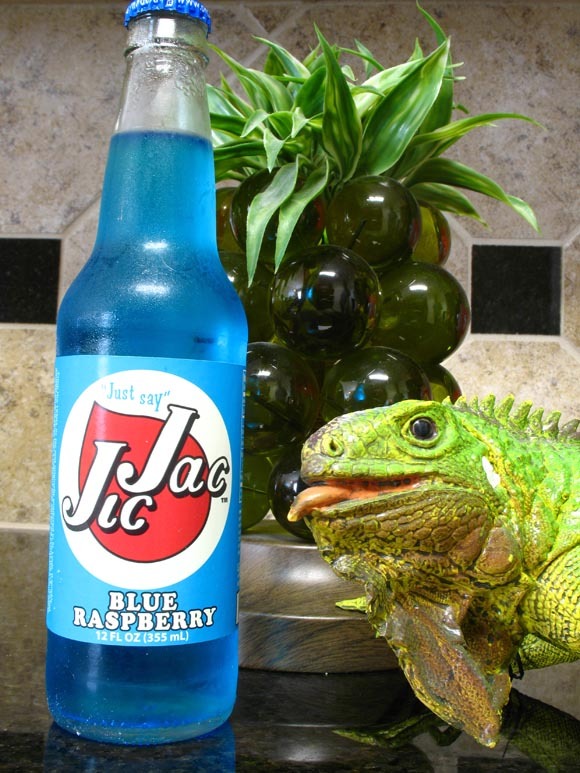 Jic Jac Blue Raspberry is the official name of the soda at hand, but according to the label all I need to do is “Just Say” Jic Jac. It’s a nice simple slogan on an even easier logo. It’s very retro looking and coupled with a fun name like Jic Jac it moves it into the top 5 for me… logo wise. Of course Jic Jack Blue Raspberry is made with cane sugar, but what I didn’t expect to see in the ingredients was raspberry extracts. It’s rare that I actually see the word “raspberry” on anything raspberry flavored anymore. So maybe my initial judging was a bit too harsh. Let’s find out, shall we? Ok, so the smell makes me a little more excited as well. The aroma alone from the drink portrays that it’s both sweet and sour. It also tells me that what I’m about to taste is similar to raspberries. I know, I know, a raspberry soda should smell like raspberries… sadly that is not the case most times. Usually a raspberry soda smells more like random candies than raspberries. While Jic Jac does smell of candy the raspberry smell is what first catches and holds onto your olfactory glands. Taste time! If you want a mouth full of magical ghost bees then head on over to Old 52.com and purchase a bottle!